At 11:00am David co-presented with Michael Corey at VMworld session Monster VMs Database Virtualization Doing IT Right (VIRT8290R). This was a high energy session with over one hundred slides highlighting both SQL Server and Oracle virtualization best practices. There were over 800 session attendees that filled the room, and many that lined up to speak with David and Michael after it concluded. It was exciting to find out this session was selected as one of the Top 10 sessions for Tuesday at the conference! In the afternoon we had a few different meetings with partner contacts in the VMworld Village, and other locations in Mandalay Bay. 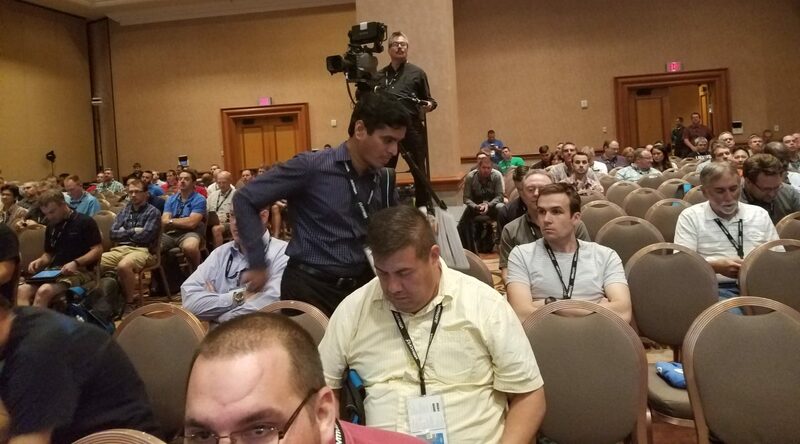 At 4:00pm David joined Allan Hirt, Denny Cherry, and Thomas LaRock for VMworld session SQL Server on vSphere: A Panel with Some of the World’s Most Renowned Performance Experts (VIRT7654). Niran Even Chen from VMware was the panel moderator. 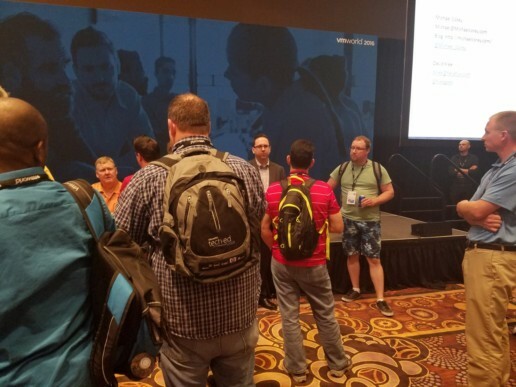 It was an outstanding session for anyone that follows the SQL Server community, and wanted to hear different perspectives from this group of experts regarding SQL Server on VMware architecture, performance, and other related topics. Many thanks to Niran, Allan, Denny, and Thomas for this great panel. The evening started with a happy hour meeting with possible future customer contacts and their very nice spouses, moved to a dinner with two executives from another VMworld Platinum sponsor, and concluded by attending an event sponsored by VMworld exhibitor HyTrust. Another action packed and exciting day at VMworld. Many outstanding meetings with David co-presenting to approximately 1,000 total conference attendees.